Acrylic Podiums Offer Unique Look in Any Location! Our online catalogue is accessible by clicking here, your portal to hundreds of products available at low prices that you won't be able to find anywhere else. 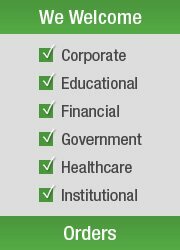 Our selection currently includes lecterns, lightboxes, cafe banners, exhibition displays, pavement signs, brochure holders, clip frames, whiteboards, pull banners, & much more! 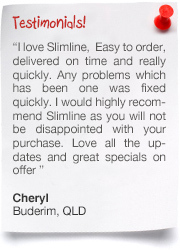 Slimline Warehouse has been a leading provider of quality goods for over 20 years, building a large customer base that keep coming back due to our excellent customer service & low prices. 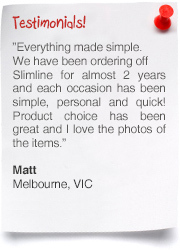 Most in stock items will despatch same day on purchases made by 1pm EST from our warehouse. 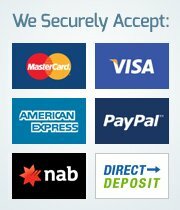 Shipping is provided to anywhere in Australia, including Sydney, Melbourne, Perth, Adelaide, Brisbane, & Cairns! 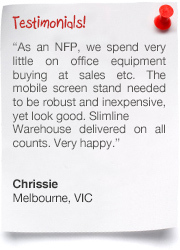 Stand assembles easily in minutes so that it is ready for use straight away! 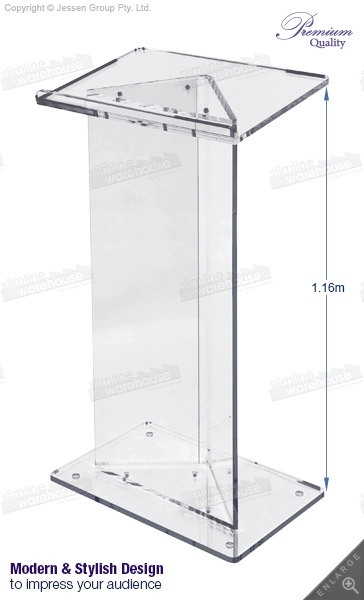 These acrylic podiums offer a stylish look that will work well in any location, due to the clear plexiglass design. This modern look adds style to any speaking engagement, and is typically used at universities, conference centres, exhibition halls, museums, trade show halls, and churches to help draw the attention of the audience towards the speaker. 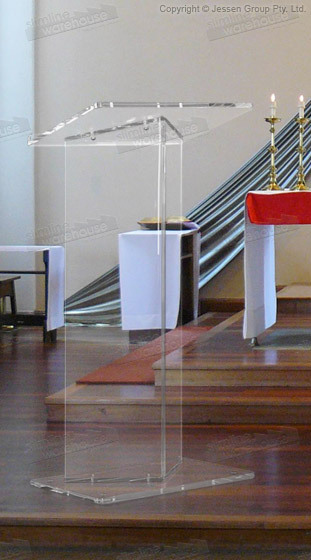 The plexiglass lecterns, acrylic podiums utilise 2 different thicknesses of acrylic to create a sturdy display. 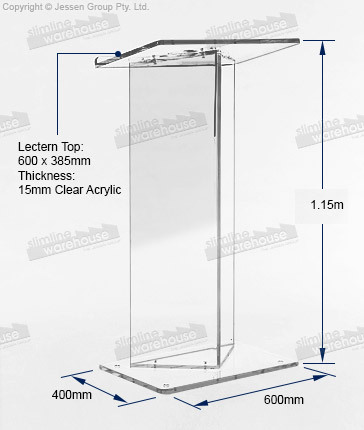 The counter top and base are made from 15mm thick plexiglass in order to provide a stable display, whilst the upright sections are made from 12mm thick acrylic that help to create a stylish look that works in every location. The church lecterns features a large top area for placing items such as notes, books, laptops, or even iPads for the speaker to utilise during their lecture. The angled top makes reading displayed items easy, with a lip across the bottom helping to ensure materials don't slide of the bottom during use! 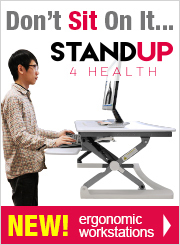 This stand is easily put together. 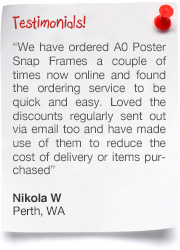 The quick assembly time allows it to be ready for use in minutes for straight out of the box! Rubber feet on the base of the stand help to prevent scratches to the floor during use, as well as prevent the stand from sliding! 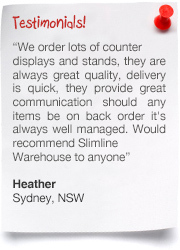 Order this top quality display at a price not found anywhere else online! 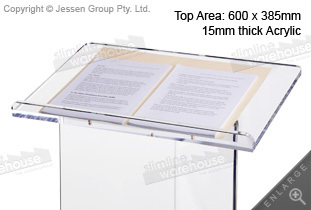 Using plexiglass lecterns is great for adding a stylish looking podium that provides plenty of space for notes. The many pulpit displays we have on offer today ensure that you can find an appropriate display that will work for your business!